Mumbai, February 19: Actor Akshay Kumar, who started an open conversation on menstrual hygiene with his film PadMan, says he is proud to see how talks have transformed into a grassroot-level movement. The actor invited all 'Pad Heroes' across India to join him and the Niine Movement for a nationwide running event Run4Niine on March 8, which is observed as International Women's Day. 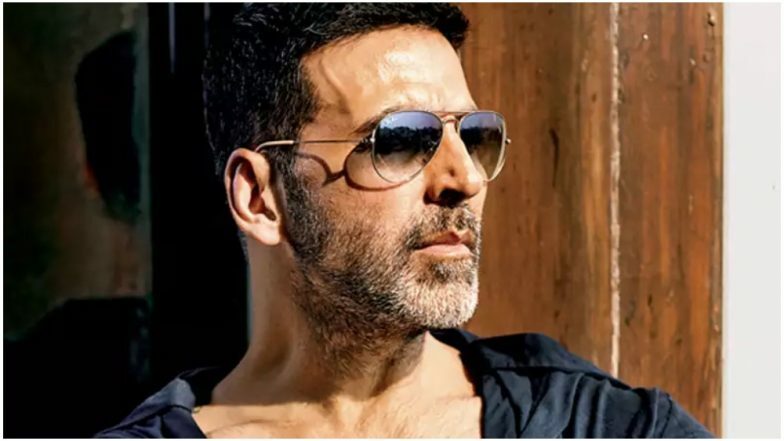 "It has already been more than a year since the release of 'PadMan', and I am proud to see how it has evolved into a phenomenal grassroot-level movement," Akshay said in a statement. He is proud to partner with the Niine Movement again to encourage an open and unashamed discussion on menstruation with fellow citizens, pad heroes, change makers and path breakers. Oscars 2018 Ignores Akshay Kumar's PadMan But The Real 'Pad Man' Still Enters The Race - Here's How. "Each one of us that takes part in it helps to create an unstoppable force that will beat the stigma around periods," added the actor. The initiative has been taken with the aim to set a record as India's largest nationwide run for menstrual hygiene awareness. Hera Pheri 3: Priyadarshan to Return to Direct Akshay Kumar, Suniel Shetty and Paresh Rawal for the Threequel?